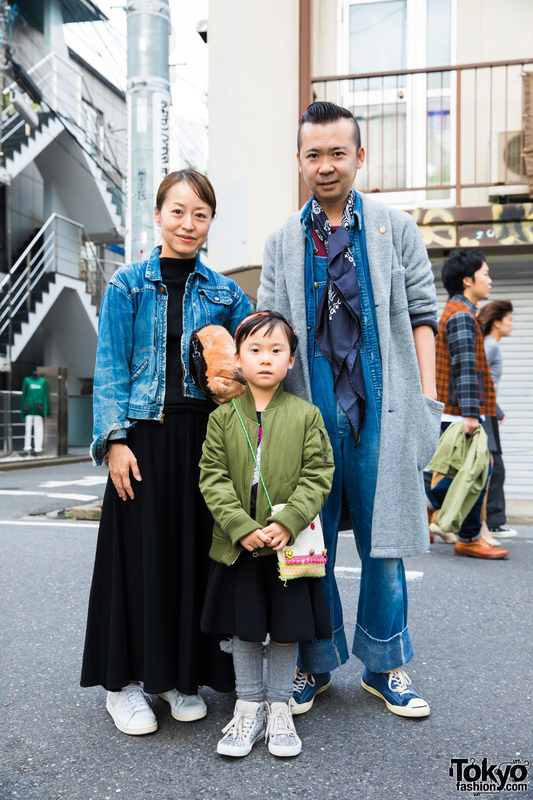 Harajuku kid in chic street fashion with ruffle collar top, floral print button down dress, khaki pants, ballet flats and white clutch. 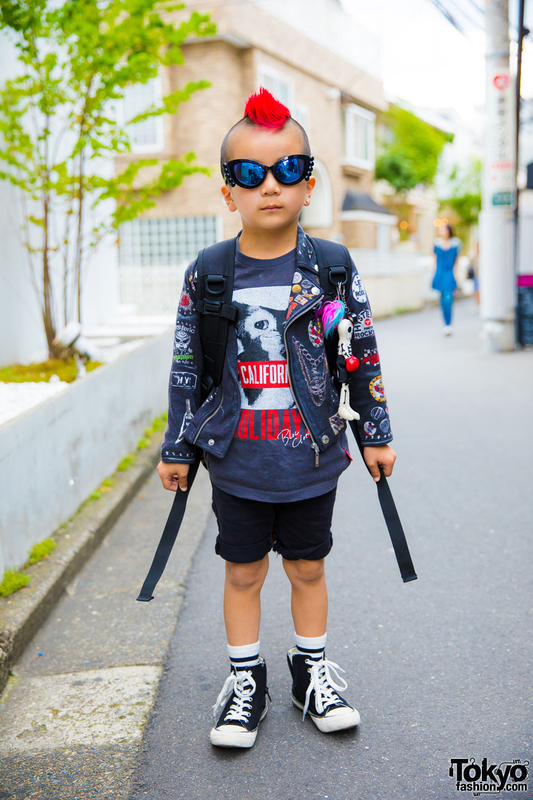 Harajuku punk style kid with red mohawk hairstyle in patched jacket with t-shirt, cuffed shorts, high top sneakers, backpack and plushie toy. 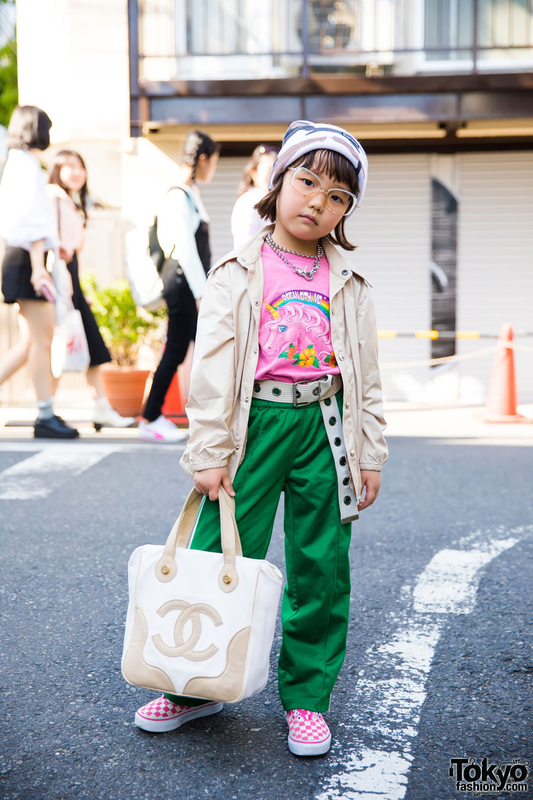 Harajuku kid in adorable cool fashion with vintage shirt, tan coat, trackpants, slip-ons and a handbag. Stylish Harajuku youth sporting chic fashion featuring bomber jacket, skirt, leg warmers and Converse shoes.